On August 4, 2015, Governor Daniel P. Malloy signed Public Act 15-97, An Act Concerning Students with Dyslexia. This is the second piece of Dyslexia legislation in the past two years. (2014 P.A. 14-39). The CT State Department of Education (CSDE) has released a legislative update for 2015 (scroll down in doc for each topic). This entry was posted in General and tagged CT Legislation, dyslexia, special education, UDL on October 19, 2015 by dariensepac. Darien SEPAC and Darien Library are pleased to present Alan Wachtel, MD on ADHD & Mood Disorders: New Strategies and Treatments. Dr. Wachtel will discuss medication options, treatments and strategies to help children who struggle with mood and attention. He will cover school-based accommodations and strategies. Research has shown that parents and teachers need to foster a child’s focus to maximize their ability to learn. In addition, Dr. Wachtel will address the benefits and risks of available treatments and when to commence or postpone treatment at various stages of a child’s life. 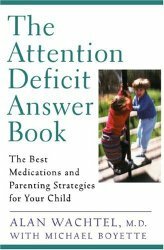 A board certified psychiatrist, Dr. Wachtel is the author of The Attention Deficit Answer Book. He is founder and director of Familyhealth Associates, which specializes in the diagnosis and treatment of attention, behavior, mood and learning disorders. He is a distinguished life fellow of the American Psychiatric Association. This entry was posted in Board of Education, Darien Public Schools, Events, General, Resources and tagged Darien, Darien School District, Darien Special Education, Education, Events. Special Education, learning disabilities, sepac, special education on January 18, 2015 by dariensepac. Questions: We understand that identifying children with illegal language or other practices is difficult in IEP Direct. Is someone going through IEP’s manually? If so, will you please clarify who that is? What is the current timeline for when this will be done? Responses: The ombudsman is working with central office staff and the IEPDirect representatives to identify automated approaches to the review and analysis of IEPs. The Ombudsman is collaborating with the Superintendent to identify temporary external resources to review IEPs manually. We expect that the automated and manual processes will be complete by the end of April. Questions: In her report, Sue Gamm gave a list of immediate action items. Is someone on the subcommittee assigned to reviewing those action items and verifying their timely completion? How many are complete? What is the timeline for the rest? How does this list relate to John Verre’s action plan? Responses: Implementing the Required Corrective Actions of the CSDE Letters of Findings, and reviewing the recommendations of the Gamm Report is the responsibility of the Special Education Ombudsman in collaboration with the Superintendent, both of whom have the requisite technical and operational knowledge and experience in special education and student services. Our work has focused first on the requirements and recommendations with the earliest critical timelines, including case reviews and problem solving, ESY Guidelines, ELP-Kindergarten transition, data management, professional development, and guidelines for practice. We are in the process of reviewing the other recommendations to determine appropriateness and level of priority, and will incorporate this work in the medium and long-term Action Plans. Ultimately the implementation of adopted approaches will become the responsibility of the new Superintendent and the new Director of Special Education and Student Services. Questions: Can you outline the notification and training schedule for parents and staff of the new ESY regulations? Are you still indicating that PPTs to address ESY occur before the end of March? Questions: John Verre and Lynne Pierson have stated that an individualized approach will be taken for each of the families in need of a kindergarten alternative next fall. Who exactly will be determining the IEPs and schooling structure for these families? What is the deadline for these plans to be created? Is May 1st possible? Responses: The services and settings for all individual ELP students will be determined by appropriately constituted PPTs. For those students whose parents and staff believe there may be issues concerning the appropriateness of a regular kindergarten placement for individual students, Laura Straiton and John Verre will participate in the PPT process to support individualized planning. To address the urgency of planning for September placements and services, these “articulation PPTs” will be initiated during April and completed as soon as possible. This entry was posted in Darien Public Schools, General, Special Education and tagged Darien Public Schools, Darien School District, IEP, special education, Sue Gamm on April 1, 2014 by dariensepac. The search for a new superintendent of schools is well underway. A very important part of the process is to solicit community input about the attributes, experiences and desired goals for a new superintendent. The focus groups also provide an opportunity for participants to identify immediate tasks on which the new superintendent should concentrate. Dr. Joseph Wood, a search consultant with the New England School Development Council (NESDEC), will meet with staff, parents and community members in separate focus groups. Participation in a focus group will require about 1-1 ½ hours of your time. Everyone is welcome to attend and participate in these meetings. No previous sign-up is required. Each person’s contribution to the group is very important to the process. Two alternative Parent Focus Groups will be held on Tuesday, February 4, 2014 at 11:00a.m. andWednesday, February 5, 2014 at 7:00p.m. In addition, we will hold a separate Focus Group for Parents with special needs students on Monday, February 3, 2014 at 11:00a.m. All Focus Groups will be held in the Board of Education Meeting Room at 35 Leroy Avenue. In addition, a brief survey will be accessible on the Darien Public School website, from Monday, February 3, 2014 through Wednesday, February 5, 2014. The Darien Board of Education wants and values your opinions. We hope you will take advantage of this opportunity to participate. This entry was posted in Darien Public Schools, Special Education and tagged Darien Public Schools, special education on January 25, 2014 by dariensepac. Come hear a panel of attorneys, parents and educators discuss best practice in teaching self- advocacy to your child from the early years through transition to adulthood. Sponsored by SCOPES and Abilis. Event take place at Rippowam Middle School, 381 High Ridge Road, Stamford, CT. 7:00-9:00pm. All parents and interested professionals are welcome. Spanish translation possible. Please RSVP to Monica at smyth@abilis.us or 203-324-1880 ext 336.Panelists: Susan Chandler: Special Education teacher, Stamford Public Schools; Dr. Angie Chai: Director of Youth Behavioral Services at Abilis; Gerri Fleming: Special Education Advocate; Ida Lupinacci: Early Intervention Associate at Abilis; Jeanne Buckley Peloso: Parent Advocate; Dorothy Taffet: Teacher, Winston Prep in Norwalk; Attorney Treimanis, attorney. Come witness a Nightmare and then a Dream PPT. Facilitated by Attorney Anne Treimanis, and starring Stamford Public School’s staff Dr. Winnie Hamilton, Dr. Tamu Lucero, Michael Fernandes, Susan Austin, Wayne Holland, Mike Meyer, Beryl Williams, school board representative John Leydon, with Rabbi Josh Hammerman, Karen Feder Abilis Director of Youth Services, and the Stamford JCC Inclusion Specialist, Dinushka DeSilva. Drama unfolds through this interactive event, as the panel re-enacts two versions of the same IEP (Individualized Education Plan) meeting for a student with a disability. Tips for a successful PPT meeting will be discussed. The presentation is entertaining, dramatic, and educational. Even those parents whose children have a 504 plan will benefit. Spanish translation will be available. Event takes place in the auditorium at Rippowam Middle School, 381 High Ridge Road, Stamford, CT. 7:00-9:00pm. Please RSVP to Monica at smyth@abilis.us or 203-324-1880 ext 336. Co-sponsored by SCOPES of Stamford and Abilis, Inc. This entry was posted in Events, General and tagged IEP, special education on January 13, 2014 by dariensepac. Thank you to those parents who came out on a busy December evening to meet and engage with our Ombudsman, John Verre. Our meeting was taped by Darien’s Channel 79. We will update you with the air dates and times once they are available. These forms are collected by the Co-Chairs of SEPAC and forwarded confidentially and directly to John Verre. It is important to note that this form serves as just one avenue for parents who have a question or concern to reach out to John and begin the process of “solving the problem.” This form and its implementation is a SEPAC initiative. SEPAC has posted the State of Connecticut’s Dept. of Education Topic Brief on Extended School Year on our Resources page. HERE. This document lists the criteria for eligibility for ESY that John presented at our meeting. SEPAC is committed to providing timely updates and information to parents of children with disabilities. Please bookmark our website to check back for important announcements and resources. You may also now follow us on Twitter and Facebook. This entry was posted in Darien Public Schools, SEPAC Meetings, State of CT and tagged Connecticut, Darien, special education on December 6, 2013 by dariensepac.